Pressure continues to mount on the Board of Supervisors to pursue a new airport noise study as the county gets ready to finalize its development plans around its new Metro stops. Development interests skeptical of the county’s existing zoning which prohibits residential development near Dulles Airport have frequently pressed supervisors to conduct a new noise study. They say the two noise studies the county is using are out of date. Those studies, published in 1993 and 2005, have been used to plan out where to allow residential, commercial, and mixed-use development around the airport and three future Silver Line stations. Because of concerns about airport noise, the county’s current plans allow no residential development near Loudoun Gateway Station along Rt. 606 at the northern tip of the airport. Residential development is permitted around the future Ashburn Station at the end of the Silver Line. County planners and airport representatives have argued that allowing homes near the airport’s flight paths would hurt both the residents’ quality of life and the airport’s ability to expand and market itself to airlines. Developers have clamored to allow residential development closer to the airport. Some supervisors have warmed to the idea of a new study. Supervisor Ron A. Meyer Jr. (R-Broad Run) said he has heard wildly varying estimates of how much a new study would cost—anywhere from millions of dollars, down to $70,000. Supervisor Tony R. Buffington Jr. (R-Blue Ridge) said his goal is to support the airport. “My problem is that the current studies are old,” he said. Other supervisors, however, have staunchly opposed the pursuit of a new noise study from the outset. Supervisors Matthew F. Letourneau (R-Dulles) and Ralph M. Buona (R-Ashburn), in particular, have been critical of the idea. 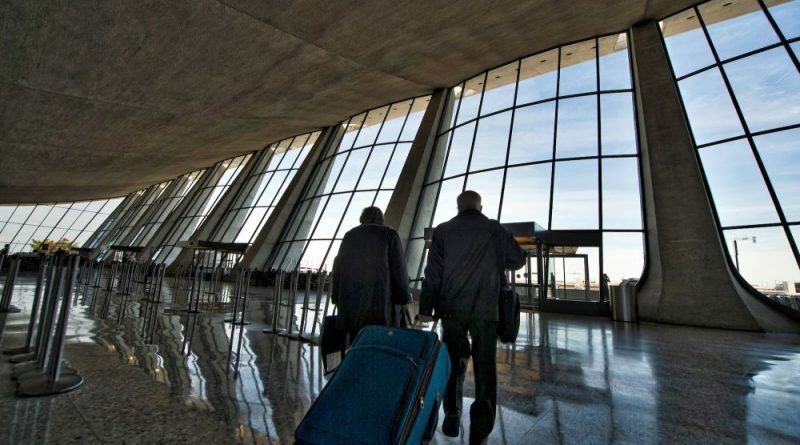 They have pointed out that to win any federal grants to conduct a new study, they would need cooperation from the Metropolitan Washington Airports Authority, which operates Dulles Airport. And that would not come without an operational change at the airport itself triggering a need. They have pointed out, time and again, that the 1993 study was meant to predict full buildout and capacity at the airport. And Department of Planning and Zoning Project Manager Chris Garcia said he would not recommend conducting noise study without the airport and the FAA’s cooperation. “I think that cooperation of the airports authority and the FAA would be warranted, but it is an option the board can consider,” Garcia said. Meanwhile, diverse interests in the county have weighed in. Tony Calabrese, a real estate attorney and partner at law firm Cooley LLP, said the county has “an incredibly scarce resource” in the area around the future Metro stations, with only a few hundred acres left undeveloped in the area. And the airport and its advocates have opposed a new study. Keith Meurlin, president of the Washington Airports Task Force, said a new study is not in the best interest of the county or its residents, pointing out the county’s Airport Noise Overlay District, where residential development is generally forbidden, is a forward-looking plan. Supervisors have scheduled a vote on their Metro plans for June 22. The primary reason to get a new noise study is that the 4th runway was not built where it was planned when the full 1993 noise study was done. You can’t have an accurate plan when the runway noise contours are in the wrong place.